The Darebin Falcons are delighted to announce that Michael Ericson will join the team as Head Coach of the 2019 VFLW Team. Michael, a Level 3 accredited coach, joins the Falcons with extensive coaching experience having held various football roles including VFLW Senior Assistant Coach at Essendon FC, VFL Forward Line Coach at the Northern Blues FC, VFL Young Guns Assistant Coach and Northern Knights Football Club (TAC Cup) – Academy Coach and Talent Identification Scout. 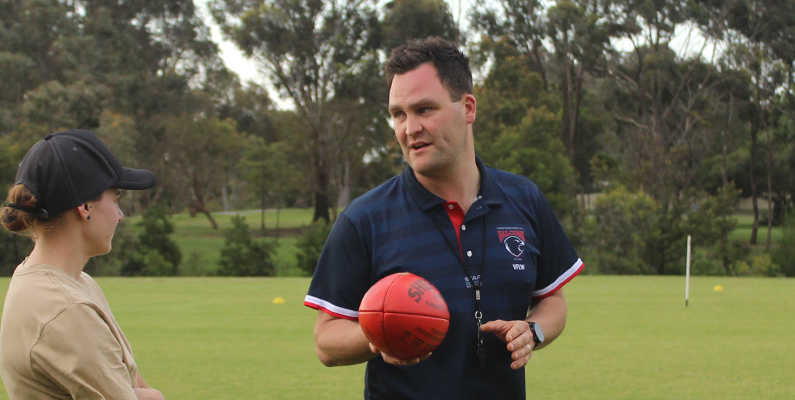 Michael said he was drawn to the opportunity to take the reins as Head Coach at the Darebin Falcons since they are the only independent club who compete in the elite VFLW competition. Michael sees a unique opportunity to build upon the team’s success in the 2018 VFLW season (with the team narrowly missing out of the top 4). Michael has hit the ground running, meeting the playing group and facilitating the first pre-season training sessions this week. 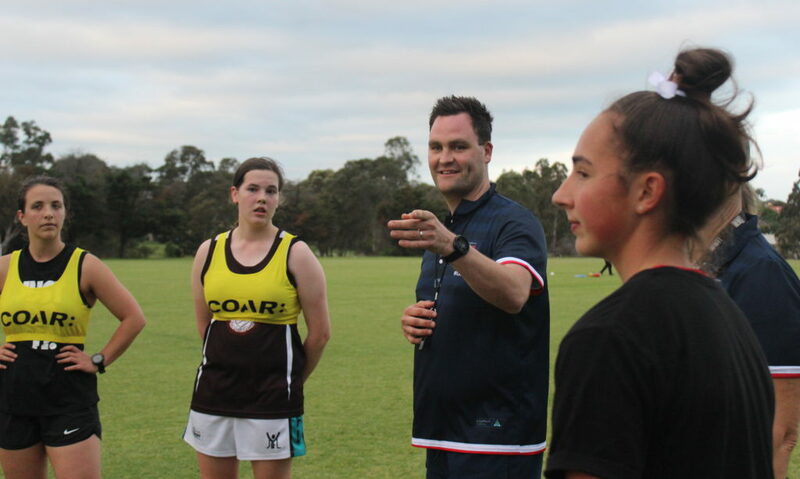 New VFLW Head Coach, Michael Ericson, gets to know the playing group. “The focus for the initial pre-season training sessions is to work on our communication and getting to know one another. We are all focused on putting in the effort with a strong pre-season to lead us to a successful 2019 season”, Michael said. Michael is already impressed with the talent at the Falcons, saying “I have seen some really exciting players so far. Ranging from some of the veteran players to some of the younger players.” Michael can see plenty of potential for the AFLW draft and is looking forward to nurturing the talent. Having committed his career to sport and football, being a past player and current Secondary Physical Education & Health teacher, we know Michael is going to be a tremendous asset to the club. Welcome to the Falcs Michael!